I used to think Banana Republic is a store where you buy work clothes. Whenever I needed a business professional or business casual outfit, I would head to Banana Republic. In the past few years, they have kicked it up a notch and recently, I am loving Banana Republic more and more each visit. Their collections have proven to be versatile and chic. And you know me, I love versatility. 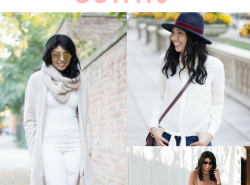 Every item I see is a must have for the season! So when I got this short-sleeve windowpane top, at first I thought it would look great with cropped trousers and block heeled sandals. Super sleek and chic. It’s awesome from going to the office to happy hour (or a night out doing the week). Then I decided to give this top a summer look. The tweed-looking fabric makes it look heavy, but really it is super light an airy. I really like the frayed hem on the edge and sleeves. It makes the top more fun! Frayed and fringe are so trending now. I love how this top is trendy yet classic. The moment I put on the white overall minidress, I knew it made a perfect pair with this top. It created a fun, everyday look. Perfect for the summer season. You can also create another summery look with this top by pairing it with boyfriend denim shorts, suede-slide sandals, and a straw hat. Do you have any favorites from Banana Republic? You make overalls look so chic! I love how you styled this! And I totally agree, I have been turning to BR more and more recently! 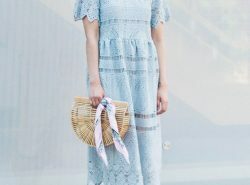 They have such great summer pieces! The overalls look very cute and I like how you styled them. The tshirt is just as cute as that romper! What a pretty look! Banana has really been killing it lately. 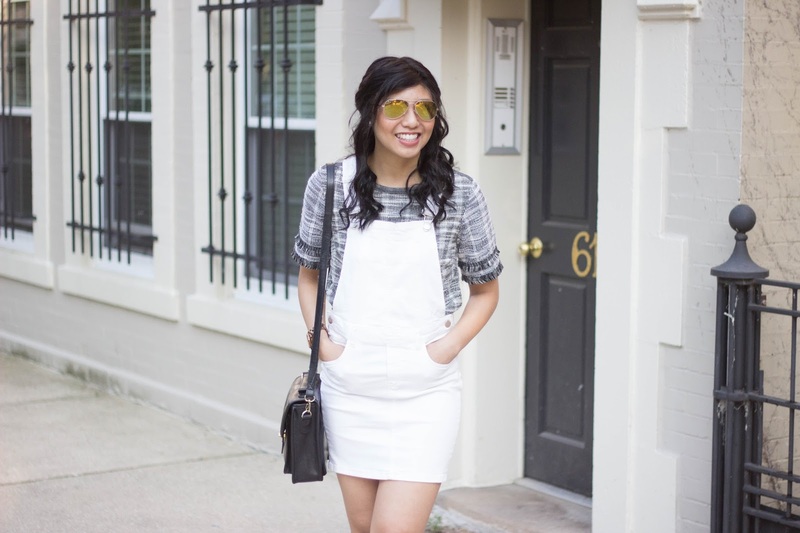 I am obsessed with your white overall dress! So fun on you with the top. That overrall is everything!! So cool and easy to wear during hot summer days I imagine! Love your look, so chic! What a fresh way to style that top! I am a huge Banana Republic fan and I love this look on you! Love this look! Super cute overalls! 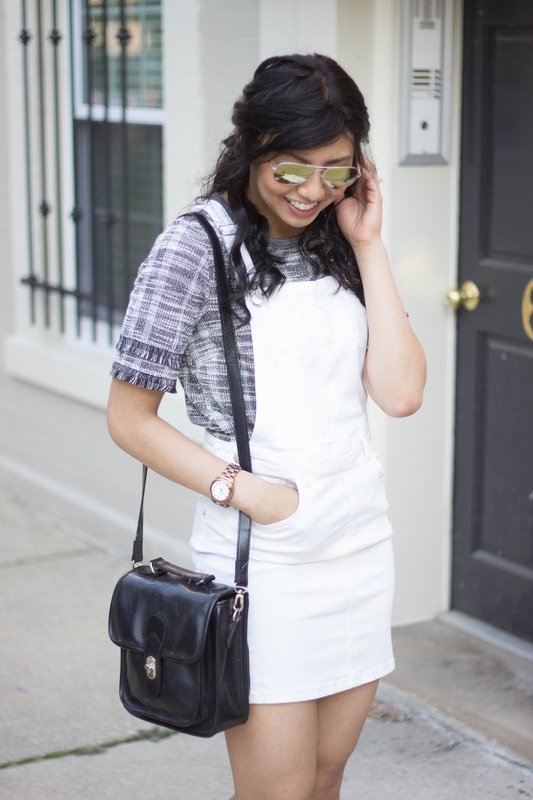 Those overalls are super adorable on you, Rach! You are such a cutie! Love this look, and I think I need to check out Banana Republic! Haven't done it in a while! Thanks for sharing, mahal! Um, I LOVE Banana Republic!! They have the best sales and I love their jewelry too. I'm the same as you though, I used to think it was only for working professionals but everytime I go in there I find the cutest things for everyday wear! Plus the quality you just can't beat for the price. So good! And I love that white overall skirt!! They really do have the best sale! And yes the quality is amazing! 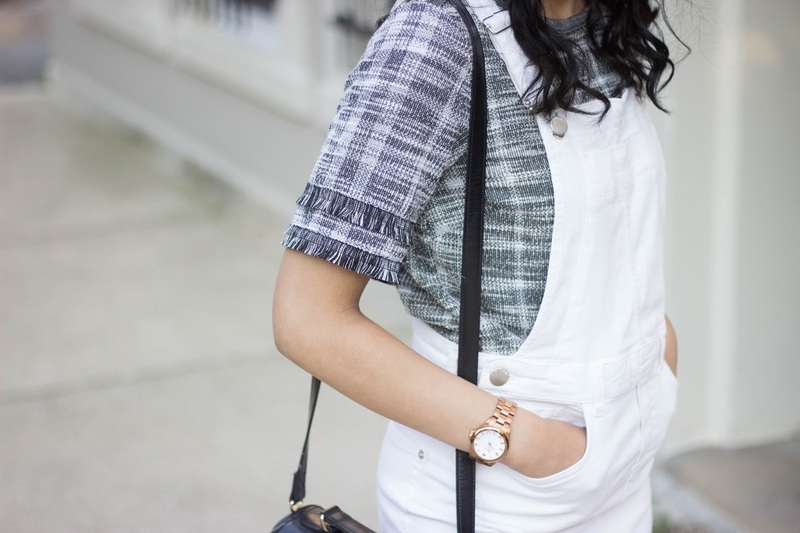 The window pane top matched perfectly with the white dungaree. I love the addition of the white sandals. You look dashing dear! I hope you are going on well with your chemo. I think this might be one of my favorite outfits of yours to date! That top is so much more versatile than one might initially think. I love your styling! Thank you so much Heidi!! I used to not be that into BR either, but I too have learned that they have some really cute options. You are rockin' this look! I love how they revamped it! You looks so cute dear!! Love your outfit! This overall dress is so cute- what a cool summer piece! Love the windowpane top underneath; too cool, lady! OMG so cute, love this outfit!! And love love those sunglasses!! Great look. White is always so crisp! You look so cute! I love the look with overalls. Your overall is super cute . Love how it looks on you ! Loving this look! That overall dress is so cute! 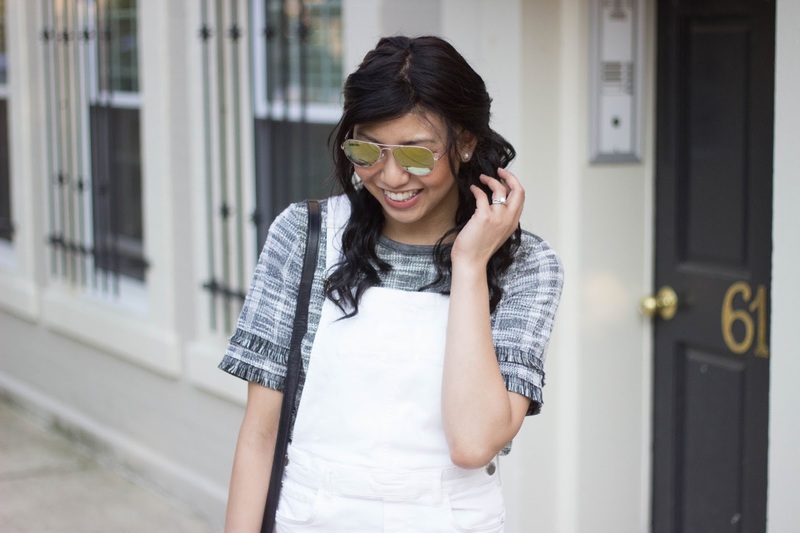 These overalls are so cute, love the way you styled them! Gorgeous! Your shirt is so cute- I love the sleeves! It goes great with your overalls!